A quick capture of our dog, Annie, on a perfect Spring day. She is one happy poodle. Have a wonderful day everyone! Great capture, love the expression! Gorgeous spring portrait of Annie! She has a cool hair cut. That is definitely a happy poodle. Wonderful shot for easter. 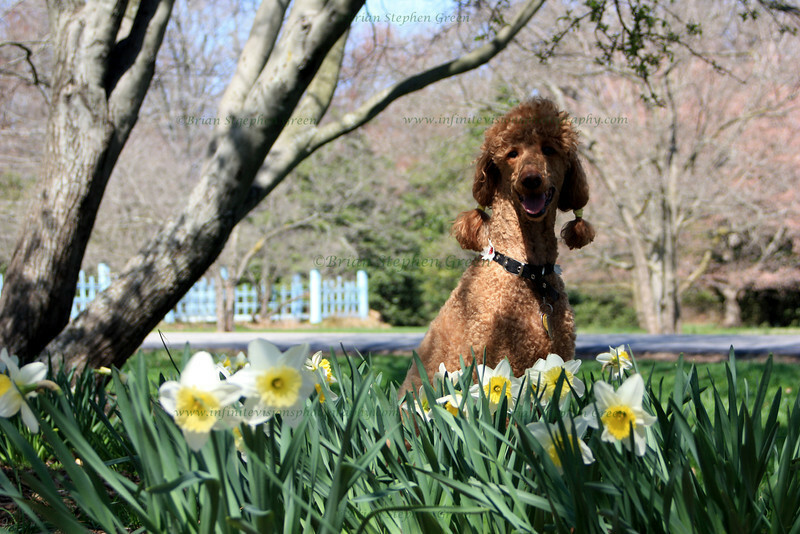 Annie looks great among the daffodils. Very nicely composed.